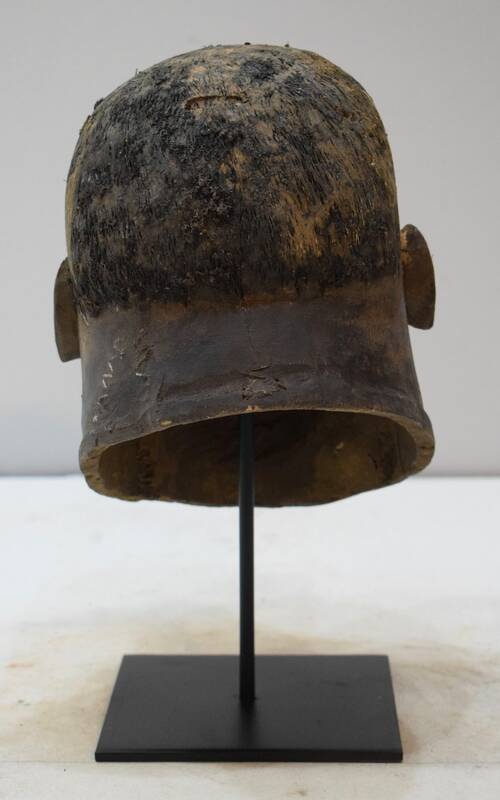 This is a fabulous Old Makonde "Lipiko" Helmet Mask from Southern Tanzania and Northeast Mozambique. 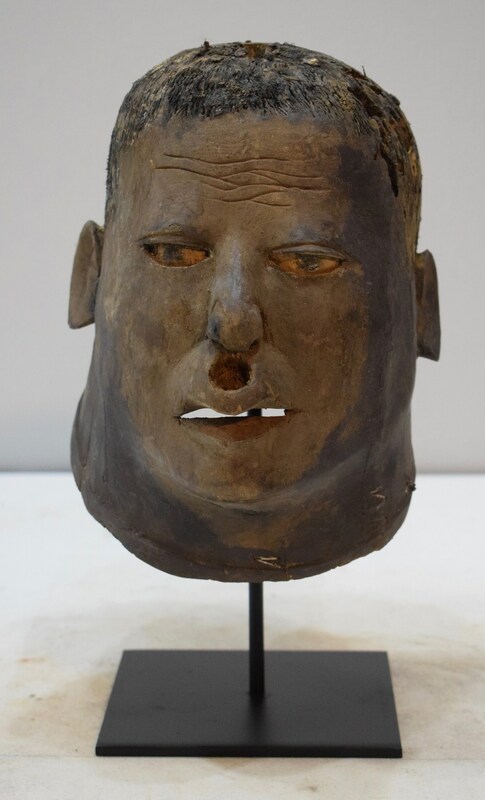 The lipiko masks, which in the language of the Makonde people means “helmet mask. The most important carving used in initiation ceremonies was the lipiko, which was worn over the top of the head, tilted back so the wearer could look out through the mouth. The masks sometimes represent ancestral spirits, sometimes animals. The ancestors come back masked in order to express their joy at the successful achievement of initiation. Their presence is proof of the tight bonds that exist between the living and the dead. The Makonde masks may attain great expressiveness. Some are simple in form, with static concave planes; others display an organically sensed rounded style. The naturalism is exaggerated in many masks, with their full lips and receding cranium. The faces of the masks are often scarified. 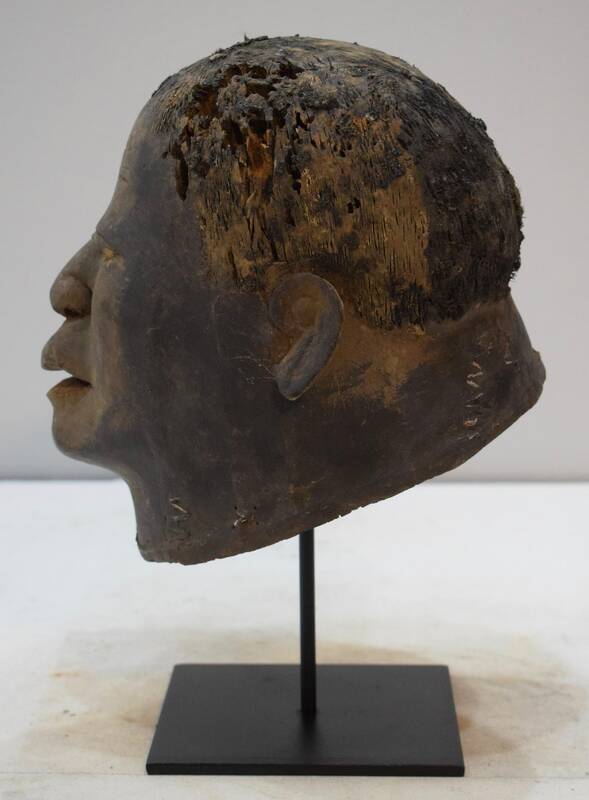 The Makonde have two main types of masks: helmet crests, known as lipiko. and face masks. The anthropomorphic face masks portray particular individuals or occasionally represent sickness. Design elements frequently include scarification marks, and eyebrows, lashes and coiffure made of real hair affixed with wax or nails. The helmet masks have strong, Negroid features. Male masks have beards, female ones lip-plugs. The lipiko helmet mask, is carved from wild kapok trees, locally called ntene, with the eyes of the dancer looking out through the mouth. 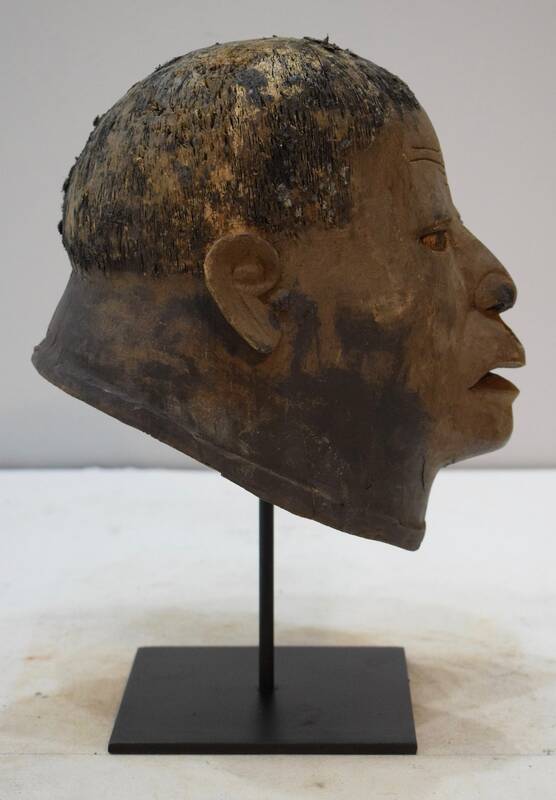 This is a one of a kind unique Makonde Mask which would be a wonderful addition to your home or collection. Shows age and discoloration,nicks and chips, but in good condition.